For an all-in-one washer and dryer that offers plenty of wash cycle options and will deliver clean clothes in a compact appliance, the LG WM3488HW is a top choice. Made by one of the leading names in appliances, the LG WM3488HW is popular for its ability to refresh and renew garments without the space requirements of standard side-by-side washer and dryer sets. 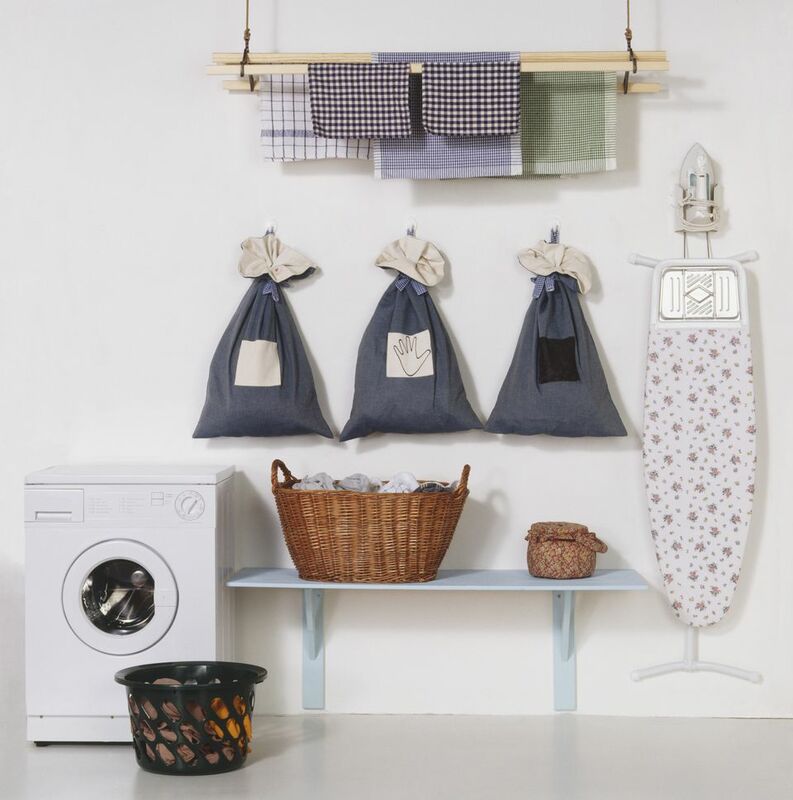 The wash cycles include 10 different settings for bulky or large loads, baby wear and hand wash or delicate items. It also features SenseClean technology which can automatically detect load size and adjust the water fill and wash settings accordingly. The ventless dryer has seven settings to effectively dry clothes. Be prepared, though, for a drying cycle to take longer than it does in conventional dryers. This is not unique to the LG model, however — just about every washer/dryer combination takes longer to dry. One user pointed out that clothes may initially seem damp, but after 30 seconds they dry — the dampness is from the steam produced during the ventless drying process. 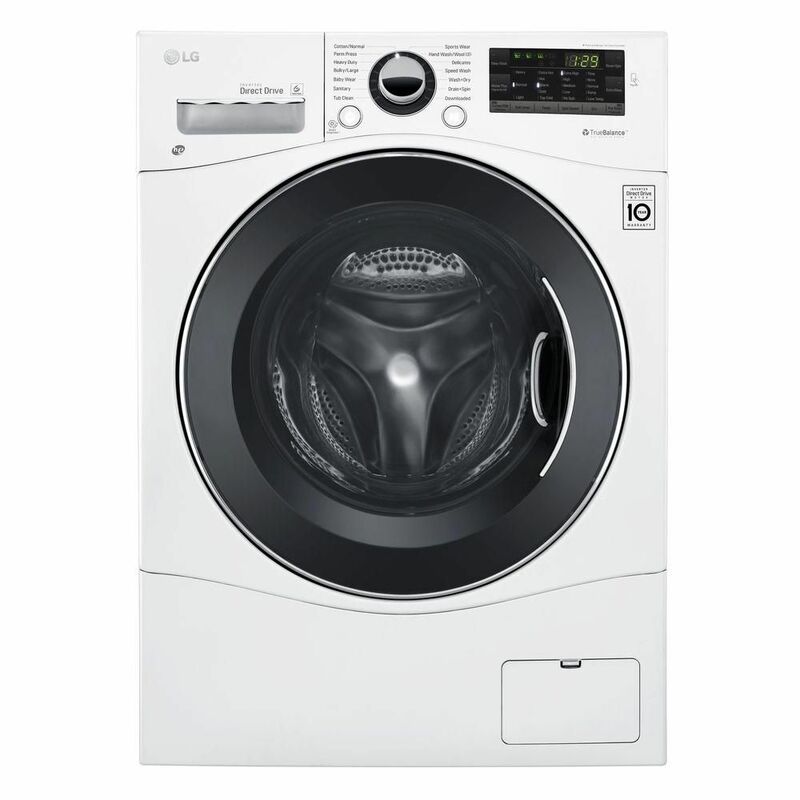 This model from LG is not the least expensive all-in-one washer/dryer available but offers an excellent value for the cycles and capabilities it possesses. Choose the LG WM3488HW if you want a reliable, functional all-in-one washer and dryer for a small laundry room or tight space. If you’re looking for an all-in-one washer and dryer that can operate in either vented dryer mode or condensing dryer mode, then the Deco All-in-One Washer and Dryer is the best choice. Vented mode is said to dry clothes in the most thorough way, but it requires an external exhaust. Condensed drying mode also dries laundry, but produces more steam that may make clothes feel damp (at least for a few minutes). Condensed drying mode does not require an external exhaust. It will drain moisture from condensation using the same drain line as the washer. The spot you have available for your all-in-one washer and dryer often determines whether there is an external exhaust available or if you need a ventless (condensed drying) unit. However, if you want a unit that is capable of both modes then the Deco All-in-One Washer and Dryer is the best buy. The unit can be set up to accommodate either drying mode. This is useful if you’re unsure about whether or not you will be able to have an external exhaust, or if you plan on moving frequently and need the flexibility of operating the unit in a ventless or vented manner. The flexibility offered involves a measure of compromise, though — this washer/dryer combo only has a capacity of 1.57 cubic feet. This is among the smallest capacities available in these appliances. Still, if you only do small loads of laundry and want a unit that will work no matter what mode of drying is required, then the Deco All-in-One Washer and Dryer is a great choice. If you are looking for an all-in-one washer and dryer that is smart enough to keep up with your other home tech gadgets, consider the LG Signature All-in-One Washer and Electric Dryer. This appliance features a modern aesthetic that will blend into many homes filled with high-tech devices. The control panel is a digital touchpad that blends into the door of the unit. Swipe left and right to access the full control menu. Users report that the touchpad is easy to use — just make sure that your fingers are dry since it’s a capacitive touchpad that won’t recognize wet hands. Even more exciting, fans of home tech will love the unit’s ability to be controlled by a smartphone. Simply download LG’s smartphone app and connect the appliance to WiFi to remotely start and monitor the machine. The LG Signature combo washer and dryer also will automatically dispense detergent based on load size — and alert you when the supply is running low. The capacity of this particular washer/dryer combo is 2.8 cubic feet — which is on the upper end of the average capacity size for these machines. But even better is the fact that this washer and dryer unit is compatible with the Sidekick Pedestal Washer made by LG. So if you’re looking for additional wash capacity, add on the pedestal and run two wash cycles simultaneously. Note, however, that the Sidekick Pedestal Washer won’t automatically dry your clothes — that’s reserved for the main wash drum only. Overall, this all-in-one washer and dryer from the LG Signature line delivers the latest in smart home technology combined with an easy, thorough washing and drying experience. If you need an all-in-one washer and dryer that will be wallet-friendly and easy to use, check out the EdgeStar All-in-One Ventless Washer and Dryer. The EdgeStar is priced lower than many of the all-in-one units available, but user satisfaction is still on par with the pricier, more full-featured appliances. What you will need to give up is some capacity — the EdgeStar is limited to 2.0 cubic feet of space. The manufacturer recommends only filling the drum to half of that capacity if you plan to run a full wash and dry cycle. Users comment on how simple this washer and dryer is to use but note the importance of following the manufacturer’s directions for use if you want clothes that are dry and wrinkle-free. It also is a good idea to keep the door seal clean and dry by wiping it down after each load of laundry. For a relatively small price tag in comparison to the cost of other all-in-one washer/dryer units or the cost of two side-by-side appliances, the EdgeStar is a great value that makes the work of laundry a little easier! It’s hard to call any all-in-one washer ‘high capacity’ but many are less than three cubic feet. This one from LG pushes the capacity to 4.3 cubic feet, making it the best choice for a higher capacity all-in-one washer and dryer. The LG WM3997HWA is the biggest combination washer/dryer on the market and has enough room for an average-sized laundry basket of clothes, according to users. This will definitely be a big benefit to households with more than one or two members. One thing to note, though, is that you’ll still need to keep loads relatively small to ensure even and adequate drying. As with other all-in-one units, you won’t want to fill the drum more than half full if you plan to dry the laundry after washing. Another great feature about the LG WM3997HWA is its Allergeine cycle, which removes up to 95 percent of the most common household allergens. This makes it a good choice for allergy-sufferers or those looking for an extra deep clean. For a family, the LG WM3997HWA is the best choice for an all-in-one washer and dryer, thanks to its high-capacity and allergen-elimination cycle. If you want to hit the open road in your RV without leaving the luxury of a washer and dryer behind, then the Splendide WD2100XC is the right appliance for you. This all-in-one washer and dryer is a vented unit — meaning it requires an external exhaust vent. If your RV is equipped to exhaust outside, then this is perhaps the most popular combo washer and dryer to buy for an RV. The Splendide WD2100XC is well-known in the RV community for being the perfect alternative to cumbersome and frequent trips to the laundromat. The machine has a 15 pound per load washing capacity, and an 11 pound per load drying capacity. Most people find this vented machine to do a more thorough job of drying laundry than many ventless washer/dryer combos. However, since this model from Splendide doesn’t include a lint filter, you shouldn’t use a dryer sheet in the machine and may need to clean the vent line and hose periodically. Overall, the Splendide is built with RV traveling in mind and features heavy-duty springs and shock absorbers to equip it for a life spent on the road.